A global search is on to find descendants of the passengers and crew of Ireland's worst maritime disaster in time for the centenary. More than 500 people died when the RMS Leinster was torpedoed in the Irish Sea near Dublin Bay on October 10 1918, a month and a day from the end of the First World War. There were about 700 people on board, including an unknown number of stowaways. William Byrne, founder of the Friends of the Leinster group, said: "It's Ireland's greatest maritime tragedy. For a start, it's the worst ever loss of life to occur in the Irish Sea. "The story should not be omitted from history. It was for too long forgotten, perhaps for political reasons." The Royal Mail Ship Leinster operated between Dun Laoghaire, or Kingstown as it was then known, and Holyhead in north Wales. It went down near the Kish lighthouse after being targeted by the German submarine U-123. In turn, the U-boat sank several days later when it hit a mine in Scapa Flow off Scotland. Possibly the most significant of those yet to be traced are the descendants of the ship's captain William Birch, who had homes in both Drumcondra, Dublin and in Holyhead. "As far as we are aware he was lost at sea and his body was never recovered. We are not certain. But we would like to make contact with his family," Mr Byrne said. As well as trying to trace the descendants of those on board the Leinster, the commemorative society have also been in contact with German embassy officials in a bid to invite relatives of the naval servicemen on the U-boat. On board the Leinster there were also passengers from Dun Laoghaire and Holyhead, a group of Wrens, some clergy including one nun who died and Allied troops from the US, Canada, Australia and New Zealand. One of those was US Admiral HJ Cone. A group of postal workers from Dublin were also on board, with the lone survivor avoiding the first blast after leaving the post room to go for a cigarette. Mr Byrne's great-grandfather John Donohoe was chief stoker on the Leinster. 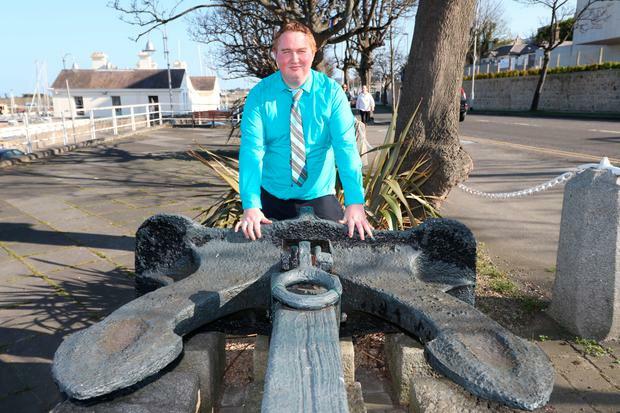 He saved 16-year-old cabin boy Thomas Connolly by giving him his life jacket. "I believe that most of the casualties in Dun Laoghaire and Holyhead have been accounted for," Mr Byrne said. "Families we have yet to make contact with include some of the American families." Mr Byrne said: "My great-grandfather had nightmares for years afterwards." Those who died have been remembered at special commemorations, including at the 90th anniversary when the names of many of those lost were read out by schoolchildren at an inter-church commemorative service. Among those remembered was Gerald Palmer, a boy with a physical disability, who had spent most of his life in care. He was lost on the Leinster while on his way from the unfortunately-named Cripples Home in Bray to Barnardo's Home in London but his death was only discovered in recent years. A postal address has been set up to help the search for descendants of the passengers and crew of the Leinster, with relatives urged to write to Mailboat Leinster Committee, 3 Eblana Avenue, Dun Laoghaire, Co Dublin, Ireland.